There’s no place like home with DIRECTV. for first 3 months at no extra cost. unless you call to change or cancel. Req’s you to select offer. *Pay $40 per month until credit starts w/in 3 bills. $35 ACTIVATION, EARLY TERMINATION FEE OF $20/MO. FOR EACH MONTH REMAINING ON AGMT., EQUIPMENT NON-RETURN & ADD’L FEES APPLY. Price incl. SELECT Pkg., monthly service and equip. fees for 1 HD DVR & is after $5/mo. autopay (credit, debit, or bank draft) discount for 12 mo. New approved residential customers only (equipment lease req’d). Credit card req’d (except MA & PA). Restr’s apply. Offer DetailsSELECT ALL INCLUDED PACKAGE: Ends 1/20/18. Available only in the U.S. (excludes Puerto Rico and U.S.V.I.). 1st & 2nd year Pricing: $35 for first 12 mos. only. After 12 mos. or loss of eligibility, then prevailing rate applies (currently $76/mo for SELECT All Included) unless cancelled or changed prior to end of the promo period. Pricing subject to change. Must enroll in autopay within 30 days of TV activation to receive bill credit starting in 1-3 bill cycles. First time credit will include all credits earned since meeting offer requirements. No credits in 2nd year for autopay. Includes: SELECT All Included TV Pkg, monthly service & equipment fees for one Genie HD DVR, and standard pro installation. Exclusions: Price excludes applicable use tax expense surcharge on retail value of installation, custom installation, equipment upgrades/add-ons (min. $99 one-time & $7/mo.  monthly fees for each extra receiver/ DIRECTV Ready TV/Device), and certain other add’l fees & charges. Pay $70/mo. until credit starts w/in 3 bills. $35 ACTIVATION, EARLY TERMINATION FEES ($20/MO. FOR TV; $15/MO. FOR INTERNET) FOR EACH MONTH REMAINING ON AGMT, EQUIPMENT NON-RETURN & ADD’L FEES APPLY. Price incl. SELECT TV Pkg, monthly service & equip. fees for 1 HD DVR and Wi-Fi Gateway & is after $5/mo. autopay (credit, debit, or bank draft) discount for 12 mos. New approved residential customers only (equipment lease req’d). Credit card req’d. Restr’s apply. Offer Details Geographic and service restrictions apply to AT&T services. Call or go to www.att.com to see if you qualify. $65 1-YR BUNDLE PRICE: Ends 1/20/18. 1st & 2nd year Pricing: $65/mo for first 12 mos. only. After 12 mos. or loss of eligibility, then prevailing rate applies (currently $106/mo. ), unless cancelled or changed prior to end of the promo period. Must maintain all qualifying services to receive advertised pricing. Pricing subject to change. Must enroll in autopay within 30 days of TV activation to receive bill credit starting in 1-3 bill cycles. First time credit will include all credits earned since meeting offer requirements. No credits in 2nd year for autopay. Includes: SELECT All-Included TV Pkg., Internet plans (768k – 50M), monthly service and equipment fees for one Genie HD DVR, monthly fees for a Wi-Fi Gateway, and standard pro installation. Exclusions: Price excludes applicable use tax expense surcharge on retail value of installation, custom installation, equipment upgrades/add-ons (min. $99 one-time & $7/mo. monthly fees for each extra receiver/ DIRECTV Ready TV/Device), and other add’l fees & charges. DIRECTV SVC TERMS: Subject to Equipment Lease & Customer Agreements. Must maintain a min. base TV pkg of $29.99/mo. Some offers may not be available through all channels and in select areas. Visit HYPERLINK "http://directv.com/legal" directv.com/legal or call for details.